The Decade of Vaccines Supplement is freely available. Better supply and logistics systems, international cooperation and funding are essential to reach the estimated 22 million children in developing countries who are still not protected from dangerous diseases with basic vaccines, according to a specialsupplement of Vaccine ,published today. Articles also underline the need to improve understanding about the health benefits of immunization. With contributions from over 100 authors, the Decade of Vaccines Supplement highlights strategies to further advance progress on the Global Vaccines Action Plan that was endorsed by the World Health Assembly in 2012. Supported by the World Health Organization (WHO), UNICEF, the GAVI Alliance and the Bill & Melinda Gates Foundation, the plan aims to deliver universal access to immunization by 2020. 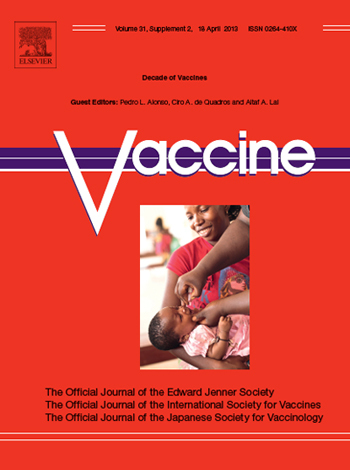 According to one of the articles in the supplement, vaccination between 2011 and 2020 is expected to have a significant impact on public health, particularly in Africa and Southeast Asia. Researchers used mathematical modelling to estimate the likely number of deaths averted in people vaccinated in 73 countries in the decade 2011–2020. They estimate that nine vaccinations given to people in 73 countries could avert an estimated 9.9 million deaths. These vaccines are for hepatitis B, yellow fever, Haemophilus influenzae type B (Hib), Streptococcus pneumoniae, rotavirus, Neisseria meningitidis serogroup A, Japanese encephalitis, human papillomavirus and rubella. In addition to these, measles vaccination and supplementary immunization activities are expected to avert an additional 13.4 million deaths. Vaccine Editor-in-Chief Gregory Poland, MD, of the Mayo Clinic and Dr. Ciro de Quadros, one of the supplement's guest editors from the Sabin Vaccine Institutein Washington, DC, talk about the supplement and this decade's challenges for vaccination. Interview with Dr. Ciro de Quadros [/note] [/pullquote]"In some parts of the world, complacency about immunization has led to gaps in vaccination coverage," said Geeta Rao Gupta, Deputy Executive Director of UNICEF. "When gaps occur, outbreaks follow." Community engagement is one approach to countering this negative effect, providing support and information to people in local areas. If used strategically and supported financially, supplemental immunization activities (SIAs) such as this can help strengthen routine immunization. SIAs include training health workers, procuring cold chain equipment and improving injection safety and adverse events management. Scientists propose best practices for these activities in theVaccinesupplement. 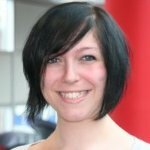 Lucy Goodchild joined Elsevier in November as marketing communications manager for Life Sciences at Elsevier, promoting Elsevier's immunology and microbiology journals and conferences from her home base in Amsterdam. She has a background in science writing and press relations through her previous work at the Society for General Microbiology and Imperial College London. Goodchild earned a BSc degree in genetics and microbiology from the University of Leeds and an MSc in the history of science, technology and medicine from Imperial College London.